The A442 Eastern Primary is closed in both directions between Hollinswood and Wombridge Interchange from today until next Tuesday. 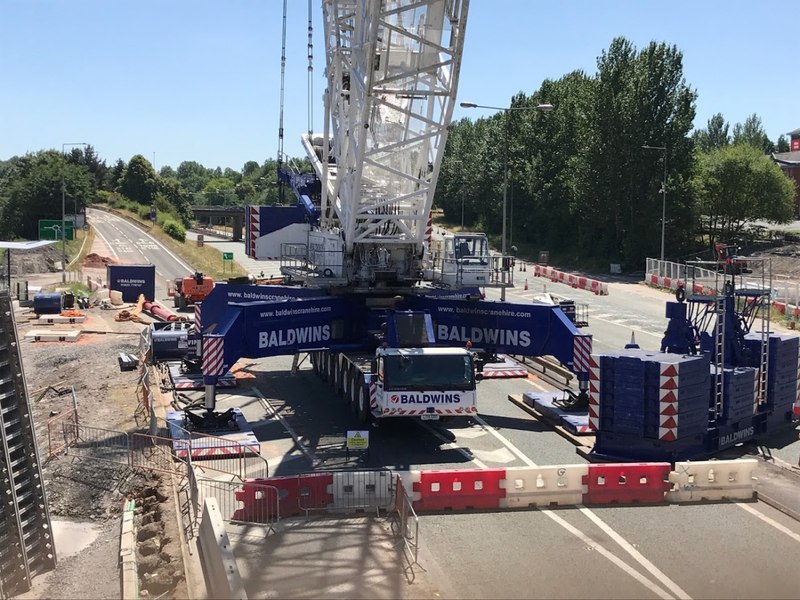 The closure is in place as one of Europe’s largest cranes returns to lift the main section of a new footbridge linking Telford Central train station with Telford Town Centre. The lift is scheduled to take place from midnight on Saturday into the early morning of Sunday. The main span of the new bridge which is 90m in length and weighs 230 tonnes will cross both the A442 Eastern Primary and Rampart Way dual carriageways. It has been constructed on site adjacent to Rampart Way during the past three months. The LG1750 crane will be assembled on the northbound carriageway of the A442 over a three day period and will be brought in by 16 escorted wagons. Rampart Way will also close overnight on Saturday 15 September/Sunday 16 September while the main span of the bridge is lifted into place. Rail travel will continue uninterrupted.